The Leucanthemum Realflor™ range features an array of unique and stunning flowers. They have a strong upright habit that does not require staking, is well branched, and produces a great canopy of blossoms. 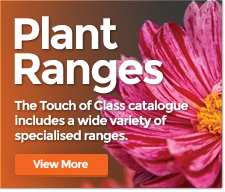 The Realflor™ range bloom early to mid-summer and then again in Autumn. The Leucanthemum Realflor™ range features an array of unique and stunning flowers. Real Neat has a strong upright habit that does not require staking, is well branched, and produces a great canopy of blossoms. Real Neat is excellent as a long lasting cut flower. The Leucanthemum Realflor™ range features an array of unique and stunning flowers. Real Glory has a strong upright habit that does not require staking, is well branched, and produces a great canopy of blossoms. Real Glory is excellent as a long lasting cut flower. The Leucanthemum Realflor™ range features an array of unique and stunning flowers. Real Galaxy has a strong upright habit that does not require staking, is well branched, and produces a great canopy of blossoms. Real Galaxy is excellent as a long lasting cut flower. The Leucanthemum Realflor™ range features an array of unique and stunning flowers. Real Dream has a strong upright habit that does not require staking, is well branched, and produces a great canopy of blossoms. Real Dream is excellent as a long lasting cut flower.